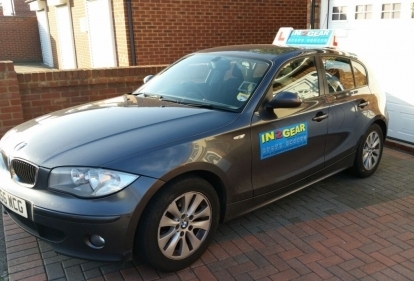 If your area is not listed, don't worry, just give us a call and I'm sure we can accommodate..
In2Gear Driver Training in Slough uses various types of 5 speed manual and Automatic diesel cars these ranging from Manual Peugeot 207's , VW Golf, Vauxhall Astra automatic and Audi A3 Automatic. Our training cars are all fitted with Dual controls, fully Air-conditioned, clean and comfortable to drive. The cars are fully insured for tuition and test purposes and are serviced regularly to ensure continuous reliability and security. Surf was an amazing driving instructor for myself. Can&rsquo;t thank him enough for helping me pass 1st time. Lessons were brilliant, really helped me kick on and making sure I was as ready as I could be for my test. Surf is a brilliant instructor - calm, knowledgeable and patient, he helped me to break all my bad habits and pass my test first time within just two weeks. Would strongly recommend to anyone! Surf is such a great instructor. He made learning to drive such a pleasure and made it seem so simple with his calm take to teaching. He kept my nerves at bay a lot of the time, especially leading up to the test. Can't thank him enough. Would very highly recommend In2Gear! Surf is an amazing instructor. Very calm, accommodating and more so easy to talk to. He helped me with getting the test cleared first attempt with very minimal points. I would recommend him anytime for the driving lessons. Surf is a quality instructor. Easy to talk to and teaches you in a calm and easy manner to ensure you leave a confident and able driver. Recommend to anyone within the Slough area. Surf is a quality instructor! Would recommend him to anybody wanting to learn to drive! Can be yourself around him and shows you all the tricks in the book! No complaints at all! Surf was awesome, he let me be myself and do my silly sounds and jokes while I was driving (yes, I would vroom while driving and singing the Super Mario theme to take the nerves away). Thank you, I just passed now, first try! My instructor Surf was amazing!! Learning to drive with Surf was the decision I&rsquo;ve ever made! I was so nervous and scared when I started learning and Surf always made me feel completely at ease and was so patient with me as I was terrible when I first started learning to drive. I can&rsquo;t thank you enough!!!!! I would highly recommend Surf! Using In2Gear to learn how to drive was the best decision I made! Leo and Surf are hands down the best driving instructors in Slough. Very understanding and amazing knowledge between both instructors. Passing first time made me realise how calm and collective I was made to be through my lessons. You will not regret choosing this company! Thank you again to Surf and Leo for the great service! See you boys on the road! My experience with Surf was nothing but positive. I would highly recommend using in2gear driving school to learn to drive. I was recommended In2gear and was not disappointed. Surf is very professional and made sure i would pass my test as soon as possible. Excellent teacher passed first time, surf is a grate instructor and is passionate about his job. Surf is a great teacher. He is easy with the hours he works and keeps you calm while driving. He enabled me to be able to pass first time which I couldn't be happier about. Would definitely recommend. Surf is a very good teacher, passed very quickly. Hes also flexible with hours. Overall good, calm instructor. Surf was the best driving instructor possible, I had taken my test twice before and lost confidence. I decided to change instructor and boy did it help, passed first time with Surf, he makes sure your up to standard on anything before booking it, he's persistent to teach and does it with flying colours, couldn't have asked for anyone better! Surf was a really good driving instructor, he was calm at all times, patient and had a good knowledge of both the car, the road and everything in between. He never raised his voice and was very persistent in making sure you got things right. He made lessons a pleasure to be on as he would chat and have a laugh about everything and anything in amongst giving instructions. I am really grateful to him for everything he has taught me and for sticking by me. One thing I've noticed about Surf from having him as my instructor is how his passion for driving and cars perfectly translates into his teaching. He's everything you could wish for in an instructor: knowledgeable, relaxed, proficient, patient, on time and above all enthusiastic. All of these determined qualities in combination gave me gave the confidence to pass first time! I'm very grateful and would recommend to all. Surf is extremely knowledgeable, and patient teacher. I needed to freshen up my driving skills and had problems with clutch control. He adapted the lessons to ensure I closed the gaps I had and passed the first time with only two minors. Forever grateful and highly recommend to everyone. Surf is absolutely amazing. Very accommodating and patient. I had good instructors before him but he was the best. Thanks Surf keep up the good work! I had Surf as my instructor, he's the best instructor I've ever had, he helped me a lot with my driving and gave me the confidence that I needed, he had excellent tips and techniques on certain maneuvers and I had my practical today and I managed to pass on my first go which I was extremely pleased about. Surf was amazing, I was so hesitant to learn to drive but i was recommended Suff through a friend who passed with him years ago. After the first lesson, i knew i had made the right choice. He taught be the basics from the start and I was driving right away. From here he was patient through all the stalls, wrong gears changes and near misses. After 10 months on sticking with me though all the downs, I was finally able to pass and it was all down to his great tuition . I would recommend Surf to any first time or regular driving students who are looking for the Best. Honestly Surf is a brilliant instructor, he is professional and really friendly. I learned a lot quickly and passed my test with ease. Surf is great! He was very acommodating, I contacted him maybe a week before my test, he was able to squeeze my test and lessons in short notice. He is very patient and has really good teaching techinques that helped me be more confident on the roads. I will 100% recommend to everyone. Surf's an awesome teacher, great guy and really patient, helped me pass my test and become a better driver. Really high quality lessons- taught me all I needed to know. Would eagerly recommend to anyone needing a teacher. Honestly surf pretty good teacher, I passed first time thanks to him. But unlike some people who might teach you how to pass a test he will teach you how to drive, top quality. I Had Surf As My Instructor, He Was A Very Good Instructor. Surf Has Passed My Sister And Other Family Members So I Went To Him With Confidence And He Believed In My And I Ended Up Passing First Time With Him, Was Very Happy And Couldn't Have Done It With Out Him! My sister recommended me to Surf and i am glad that i listened to her (for once). Surf took personal interest in making sure that i nail both theory and practical test. He is very flexible, experienced and cool and total professional instructor. Would highly recommend Surf to all my mates. Thank you Surf! Surf was my driving teacher. I was a bit nervous of learning to drive but he made it really fun. He's very patient and is a very good teacher. I passed my test first time with him and I feel really confident when driving. I highly recommend him if your looking an teacher. Having taken a couple of lessons some time ago without getting anywhere, I was recommended Surf as a possible instructor, at the end of my first lesson I asked "..but how are you supposed to indicate, change gear and turn the wheel and look in all the mirrors all at the same time?". Surf just laughed and said "I will remind you of saying that at some point...". Surf is an amiable guy, professional, patient and positive in his instructing, which has led ultimately to passing my test first time! A few red faces from me along the way about making mistakes, was always met with encouragement and built my confidence no end. It was always a pleasure to be in the car with Surf and this helped in correcting the little mistakes (and some bigger ones) and getting to where we are now, with a pass! Still always learning and I'll be getting back in the car at some point soon with Surf to have a look at Motorway Driving. Highly recommended to anyone wishing to learn to drive, you will be taught to your ability in a comfortable manner and pass that test! One of my friend recommended me Surf. He was full of praise for him. So I decided to have my driving lessons with him. During the lessons I found him to be a gentleman and extremely professional person. His observation, analysis and teaching way is all excellent. I would recommend him to anyone. This is probably the best driving school, I have been with a different instructor before but surf was great, always made jokes and was really calm which made the lessons fun. I passed the first time thanks to him. Surf is an excellent driving instructor. He could teach someone who was really nervous of driving. Having lessons with surf teached me be more comfortable I would recommend him if you want to drive because I passed with only 3 minors! Surf is an excellent instructor with amazing ability to relate and teach learners with great ease. Passed with 3 minors and now i feel confident in my own ability. Highly recommended. Surf is really a nice instructor, friendly, professional and full of patience. I didn&rsquo;t know driving at all and he taught me from beginning. It didn&rsquo;t take too long for me to pass the test. Thanks so much to Surf, he has very broad knowledge about driving and always answered my questions and instructed me to every single point about driving. He helped me a lot with getting familiar with the test routes and pointed out on time where I need to pay attention to and be careful about. I will definitely recommend him to all learners. Excellent lessons and good value of money! Surf came across to me as a very professional instructor.Having discussed what I needed to improve with my driving skills it took just 3 lessons for me to pass my test with zero faults,just want to say thanks and keep up the good work . Leo, is a professional who always keeps his promises. It doesn't matter what your current driving skills are like, by the time you are qualified, Leo makes sure that not only you are a good driver but also a safe one. He is always willing to put in the extra mile to make sure that the client is satisfied. Over all very happy with the service and would highly recommend his services to anyone who is looking to pass the theory test or just to improve their driving skills. I have just passed my test this afternoon with 1 minor thanks to the excellent service provided by Leo. I had previously driven before and failed my test with another instructor and this time I had a set period for passing my driving test due to my progressing in my career. Leo effectively reviewed my driving when we first met and made sure that every minor detail up to my test was covered and up to scratch so we were confident I could show the examiner that I am here to pass and show my brilliant driving skills I had been taught. Leo always arrives on time for lessons and will always keep you informed if anything has the possibility of changing. In the run up to my test, I was given a few mock tests, Leo conducted these in the exact same manor as the examiner himself so I was already familiar with the exam format before I even got in the car on test day which helped ease those daunting test nerves. On test day I was given a a choice of three snacks and drink to help boost my sugar levels, and also the car was valeted so I felt at ease. The prices charged do no where near reflect the level of service provided throughout the tuition and I believe that Leo offers great value for money, which I can confidentially say because I have had two previous instructors who were similarly priced to Leo with a significantly lower level of quality of teaching and support. I am extremely happy with the result and wouldn't hesitate to recommend Leo to anyone, it is down to him I am now able to continue on my career path in the direction I was hoping to from the beginning! Thank you for your support. Surf is a good driving instructor to begin your driving lessons with; he is friendly and so very easy to get along with. He is good at explaining all driving-related ideas, and happy to answer any driving related questions. He gives clear reference points to make them easy to carry out. I felt very well prepared for my test, and passed with confidence knowing that I have learnt the skill for my life. I am very pleased with my driving lessons and would definitely recommend him to anyone. Surf is a good instructor with an abundant patience and pragmatic teaching skills. He is very knowledgeable and passionate about driving and makes you practice over your weak areas so you get better and better with more confidence. We had gone over maneuvers, show me tell me questions and test routes thoroughly, leading up to my test. On the day of my test he kept me calm and focused. I would definitely recommend him as a first rate driving instructor. I was learning with another instructor when my husband recommended I book a lesson with Surf (who had come highly recommended by friends) I was not happy with the instructor I had at the time, so I had my 1st lesson with Surf, and although i was a nervous driver, I actually started to enjoy driving again. Within a matter of lessons my driving & confidence had drastically improved. He really helped me overcome my nerves. I made so many mistakes during my lessons, but he was always reassuring & calm. We practiced my weaknesses until they became strengths. I passed on my very 1st attempt thanks to Surf, with only 3 minors! He made sure I was well prepared for the test. We had gone over maneuvers, show me tell me questions & test routes thoroughly, leading up to my test. On the day of my test he kept me calm & focused. I would reccommend In2gear driver training to anyone who wants quick progression with enjoyable lessons & an excellent result. I am so very grateful to you Surf. Passed in the 1st time without any errors! At the age of 17 I thought its going to be hard to drive but Saraf made all my nerves go away and passed it in my first time without any errors and very pleased with it! Thaanks Saraf! Surf is a really good driving instructor. I just passed my driving test today with only 2 faults! Surf made sure I was well prepared for the test and explained where I made mistakes thoroughly so I didnt make them next time. I would definately reccomend him as a driving instructor, hes very thorough and makes you practice over your weak areas so you get better and better with more confidence. Brilliant instructor! Surf is a great driving instructor; he is friendly and helpful so very easy to get along with. He is good at explaining all driving-related things and is always happy to answer any questions. He went over the test routes and manoeuvres thoroughly, giving clear reference points to make them easy to carry out. I felt very well prepared for my test, and passed first time, so I am very pleased and would definitely recommend him to anyone. I would strongly recommend Surf as your instructor if you like to pass your test easily in short span of time. Surf has good teaching skill especially explaining mistakes and how to rectify it. He was very kind and patient throughout my lessons. It would have been very difficult without Surf. Also he is good at explaining logic behind driving skills in theory before going into practical lessons. Surf is really a good instructor with atmost patience and excellent teaching skills. He really helped me to learn driving skills quickly and to build my confidence. Not only he has helped me to pass the driving test in first chance, but also to make me a good and safe driver. I would recommend Surf to anyone who wants to pass the driving test with confidence in first chance. Surf is a truly wonderful instructor and a very nice person. He always helps you and gives you confidence. Everything he makes you do is done to a superb standard and any mistakes made are analysed in detail. Even though I passed the first time around all the credit go must to Surf he was very very good. My Driving Instructor is surf, after my first lesson knew it was the right choice. I was nervous when I was starting to learn but surf was always reassuring and patient. He does know everything about driving. Thanks to surfâ€˜s great training methods and friendly attitude I quickly gained confidence and went on to pass the exam with only couple of minors. Surf was always patient, and very helpful.. While learning, i made innumerable mistakes, and always Surf was helpful in learning, and analysing why i made that mistake, which helped me a lot in not repeating the same. Also he instilled lot of confidence (which i lacked dearly before the test day).. I would recommend to anybody who want to learn driving, to learn from surf.. Excelelnt Job..
Surf is a superb instructor: very calm,very patient n very thorough.I used to make very silly mistakes n loose confidence but he always encouraged me n was ready to answer my questions as many times i was unsure.I m very thankful to Surf to help me pass the practical test n its because of him that i have reached my long desired goal.Thanks a lot Surf. Surf is the best instructor not only in Slough but in the entire planet. I would certainly recommend him for any one who wants to pass the driving test in the first attempt. My Instructor Surf has been really wonderful and helpful. I tried to learn driving 3 times and paid so much money. Also attempted 3 practical test and failed all of them. When I first started to drive with In2Gear I was so nervous to even hold the car but in no time Surf helped me overcome my nerves, he use to patiently explain me theory, put driving into context and above all he helped me to overcome my biggest problem of understading biting/biding (whatever it's called :-) ) point. One of the major problem i had was on up hill gradients I couldn't control the car. No matter how many mistakes i made he never once scolded me or shouted at me. He also didn't let me attend the practical test until he thought i was ready for it. Before my driving test he even arranged a "Mock Test" which made me realise how crap i was under examination pressure and amount of mistakes i made. Guy who took my mock test (Leo), was very nice, explained a few things and gave me hints and tips which i lacked. One thing i really like about these guys is that they have never rushed me, it's not by clock for them. Mock test really helped and guess what .... I passed in first attempt this time. My husband's and my life have become so easy, I now drive to work daily but every day i drive i just remember some of the tips Surf and Leo gave me which I try my best to follow. My husband tells me I am a much better driver now than what he use to be when he passed his test. Thanks a lot Surf and Leo. Will speak to you soon Monica. After passing my test within 8 WEEKS of starting, Leo has demonstrated nothing but professionalism running, what I call â€œa top driving schoolâ€. Leo is punctual, well organized and has the lessons structured very well. After no session did I ever think I didn't benefit from it. The standard that has been set is very high, and Leo does take great pride which does show through his teaching techniques. Leo is fully equipped with various different driving aids, and the help documents provided are perfect. With regards to the car that I learned in, again nothing but a pleasure to drive. Always clean and tidy, smelling fresh and nothing was any different come my test date. Leo turned up early, with a clean and tidy car smelling nice, and also included refreshments!! I would also like to thank Surf for his time, the mock test really brought things to life and I would recommend anyone learning to drive to take this. One thing I will say is I know my money was spent well, and do not feel that a penny went to waste. Yes they are not the cheapest out there, but you do get more than your fair share for every penny spent. A massive thanks to Leo and the team. Leo is absolutely an absolutely fantastic instructor. He's friendly, reliable and punctual and the lessons were well structured. I contacted leo after failing my test my first time with another instructor. Leo took me on board and organised me a week crash course to get my driving up to scratch, and that's exactly what he did. He does charge Â£25 an hour but after having tried cheaper instructors I realised cheaper is not always better. His skills and knowledge have rubbed off me and I will never forget what he has taught me. I am proud to say that I have passed my test today with his help and he even organised me a mock test prior to my driving test which I highly recommend as it helped me to identify the weak points of my driving and improve those aspects. Thank you so much Leo for you hospitality and training! 100% Recommended! Leo was a fantastic instructor, the best you could ask for. He always turned up early to lessons, and never rushed through them, instead, he always explained everything throughly and clearly. Leo was always smiling and helped to boost my confidence while driving and I'm happy to say I passed my test first time. Leo is one of the best driving instructors out there, a fantastic, patient teacher. Thank you so much, Leo! Leo doesn't miss a trick when you are in the driving seat. He knows exactly how to get the best from you and always puts you at ease. He has a metaphore to illustrate just about any operation and a nifty exercise to put it into practice. You always know exactly how you're doing and leave each lesson feeling confident. Leo is a cut above the rest and I would recommend him to anyone who wants to make serious progress while enjoying their driving lessons. Leo was my fourth Instructor. I found him the best one I've ever met. He is always nice, patient and smiling. He gave me lot of confidence. Do with Leo, you won't regret it. Surf was my instructor, and thanks to him I passed first time, despite my worry! He's a great instructor and he'll make you do things repetitively till you nail it. He greatly boosted my confidence as the lessons went on and I'd recommend to anyone instantly. leo was my instructor, i found him through a friend after tryin so many. He is a great instructor, i even made him get up early on sundays and teach me and he was fine with that. Great instructor. I would fully recommend. Surf was my instrucor and to me he is the best. I have had a couple lessons way back in 2009 with someone else but he is no way comparable to the knowledge Surf has. The tips for manovers he gives are great and really helped me in passing with not even a single minor error. Thanks to Surf and next in line is my wife to learn from him. Keep the good work going Mate. Leo is a fantastic instructor: always on time, extremely patient, always in a good mood and only cares about the driving. I passed first time with two minors and would recommend him to anyone who wants to learn how to drive. surf is really a good instructor and a very patient guy. I used to make very silly mistakes but he always explained me with patience. I was so nervous about my driving but surf had given me the strength and confidence to go through the driving. I passed my driving test and now iam on the road. very happy. You'd be crazy not to chose In2Gear! Initially I thought choosing a driving school would be tough, but as soon as I saw Leo's Grade 6 skills and positive reviews I knew In2Gear was the way to go. Leo was always15 minutes early for my lessons and had the car in spotless condition. He would make me feel calm and relaxed whilst pushing me on and getting the best out of the 1.5 hour weekly lessons. Unlike many driving instructors, Leo cares more about the client than the money; he will also make sure that you're safe at all times, whilst keeping you independent as a driver. Come test day, Leo kept me calm and confident. He made sure I had all my documentation ready with regular texts - not to forget the lovely Mars bar and can of Coke he bought me for the test! To summarise, I would say Leo is without a doubt one of the most genuine and helpful people I've come across and will always strive to help his pupils' succeed. Thanks Leo! I came from a foreign country where we drive on the other side of the road and had absolutely no confidence in my driving abilities but thanks to Leo and his patience I manged to overcome my fear of driving and after only 1 week of intensive training I was back on track again. Many thanks Leo. I now drive several times a month as part of my job and often go to remote, unknown places without using a GPS! Surf was a brilliant instructor!He made sure I was completely comfortable with all aspects of my driving. He's a very patient and thorough instructor.I tried many different firms before and found Surf to be the best! He's also very flexible when it comes to lessons which worked well for me. I passed my driving test, all thanks to Surf! I have already started recommending him to friends and family! Leo is fantastic. Hes friendly and kind and wont let you down. Hes the best instructor in the country. He doesnt care about the money he only cares about your driving. I passed first time with 5 minors and i helped him get to a level six instructor haha. Thanks alot leo quality guy! Surf was a fantastic instructor, who instantly made me feel comfortable and at ease. It might sound like a simple thing but before i started taking lessons with In2Gear I didn't look forward to seeing my previous instructor's car pull up. Surf was always calm and chilled out and that really helped me to relax behind the wheel. He quickly identified the areas I needed to focus on and I'm happy to say that I passed with only 3 minor faults. I would definitely recommend In2Gear to anyone looking for friendly and professional driving tuition. In2Gear was recommended by a friend of the family and I am pleased to say I was not disappointed at all. The car was astonishingly clean and he was always here 15 minutes early. He was a tough marker but its the only way to get the best results. I must say at first I was disconcerted by Leo's teaching methods but realised that, in hindsight, every word he said stuck; there was indeed method to his madness! The proof is in the pudding: I had relatively few lessons with Leo and passed first time with 3 minors. The after-care is also reassuring; Leo came in for a cup of tea after my test and went through insurance options with me and offered to bargain down the prices to the respective companies at no extra cost! He treats his clients like his children and takes great care. I will be coming back to Leo to take my Pass Plus without a doubt. I initially contacted Leo for driving lessons as his prices seemed more reasonable than all of the other places I had contacted. Leo would always show up for my lesson around 10-15 minutes early and would always tailor the lesson according to my abilities. This is probably quite a small point to make, but the car was always immaculate, which I was rather impressed by. He would sometimes record the drive and play back any mistakes as well as keep a sort of scorecard where I was given a mark out of 5 for all aspects of driving, which I thought was fantastic as it meant I could see which specific areas I needed to improve on, could see my progress over time and it meant Leo knew exactly what areas to concentrate each lesson on rather than having to think back to the previous week. Once I was consistantly acheiving 4.5 or 5 in each area I put in for my test, but was given a date months away so Leo worked really hard and then emailed me to let me know my test was now in 2 weeks time. I was also emailed revision sheets consisting of a full break-down of all the manoevers as well as photos from the driver's perspective highlighting key reference points in the vehicle and thanks to Leo's wonderful teaching skills all round I managed to pass first time with just 2 minors. I am a little saddened that this means the end of my lessons, but I'm hoping to keep in touch with Leo, definitely going to email him pics of my first car when I get it. I would strongly recommend Leo to anyone who wants to learn to drive, not just pass their test. Leo is a really good instructor and i would recomend him to any one. He really belived that i could pass and helped me to become a really good driver. i would like to thank Leo and In2Gear driving school in helping me pass my test. Leo has been a great driving instructor, with a fantastic teaching style that gave me the opportunity to pass the first time. There has been nothing but 100% commitment from Leo, he has been on time every time , and is flexible. One of the key techniques I really liked was the use of in-car recording of my driving which was played back to me and feedback given. This really showed me where I was going wrong, and thus improved my driving. Passing first time, I really recommend Leo to everyone. I was recommended to go to Leo from In2Gear in Slough for my driver training and I didn't regret it. Leo is enthusiastic and very helpful, especially at getting rid of my 'bad habits', which improved my confidence for the driving test. Passed it first time with one minor, thank you Leo. Leo is an excellent teacher. He knows exactly how to prepare you FULLY for your test so that there are no funny surprises on the day itself. His method of teaching is unique and for this reason, I would certainly reccommend him to anyone who wants to pass their practical driving test. leo is a great instructor who works hard to make sure that you are a confident well skilled driver, i passed my test first time with only one minor and now also have pass plus which he also taught. i highly recommend him to anyone who wants to learn how to drive! Leo is an excellent driving instructor. His quality of teaching is fantastic. 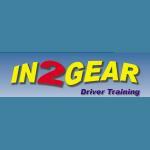 I would definately recommend In2Gear Driving School to anyone who wants a good reliable driving school. Thanks a million Leo for getting me through the test first time! I went between a couple of driving schools due to issues with instructors that just seemed to be after my money! I found In2Gear great, my instructor was very professional and I learnt a lot quickly, passed my test first time with only 3 minors, great tuition! Recommended to all my mates, and highly recommended to you too. Leo is a very good instructor. I was very nervous when I first started but he taught me very quickly. I would recommend him.